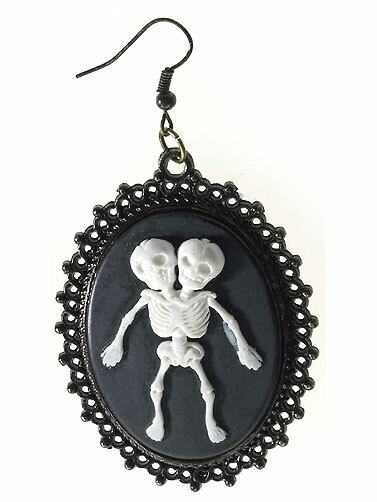 These Conjoined Skeleton Twins Earrings will be the focal point of your Halloween costume. Great for Halloween carnival, but will look great with a number of Halloween costume themes. Metal French hook earring with a black plastic cameo that features conjoined twin skeletons and shiny black ornate trim. 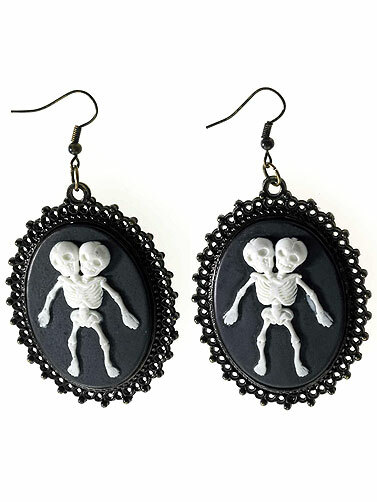 Conjoined Skeleton Twins Earrings measure 2"H x 1.5"W . Package includes one pair of earrings. 2 pc.